It seems I can’t go a single day without either seeing an Overwatch commercial or hearing a friend gush about how it’s the only game I should be playing right now. So it shouldn’t be surprising that LEGO builds inspired by this first-person shooter are popping up like crazy. In addition to the massively, massive Rocket Hammer and D.Va’s hot pink Mech we’ve already highlighted, here are some fantastic LEGO Overwatch characters. 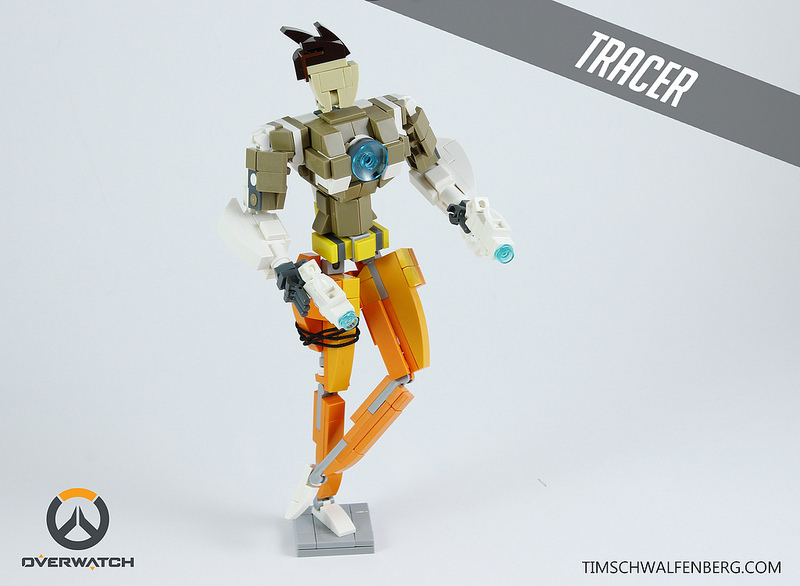 First up, Tim Schwalfenberg pieced together a LEGO Tracer, the female character who, according to the internet, can control the speed of her own passage through time. Pretty handy, that. I recognized Tim’s build right away as the English-accented character who says “The cavalry’s here” in those too-often shown Overwatch commercials. 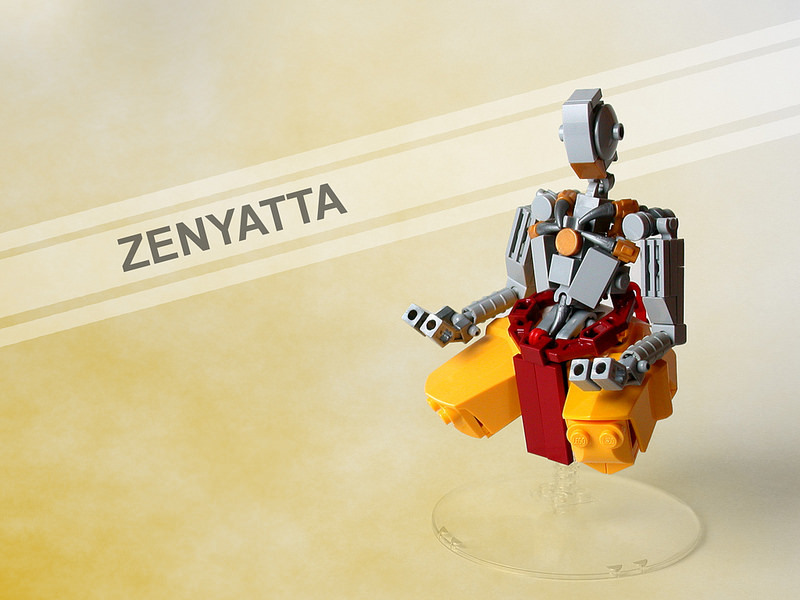 Next up, Dead Frog inc. built a LEGO Zenyatta, the floating character with the power to heal others. While I didn’t recognize this character (Seriously, I promise to play the game at some point), I did appreciate this character’s clean lines and cross-legged pose. Both builders captured the game’s style and built highly-poseable figs resulting in two LEGO models that look like they were built as part of one set. I’m excited to see which other characters pop up online in the future.